The UK charts have brought some better news for Nintendo over the past few months, after an extended period of very limited successes. Nevertheless ARMS can't arrive soon enough, with recent Switch and 3DS releases struggling to make an impact. 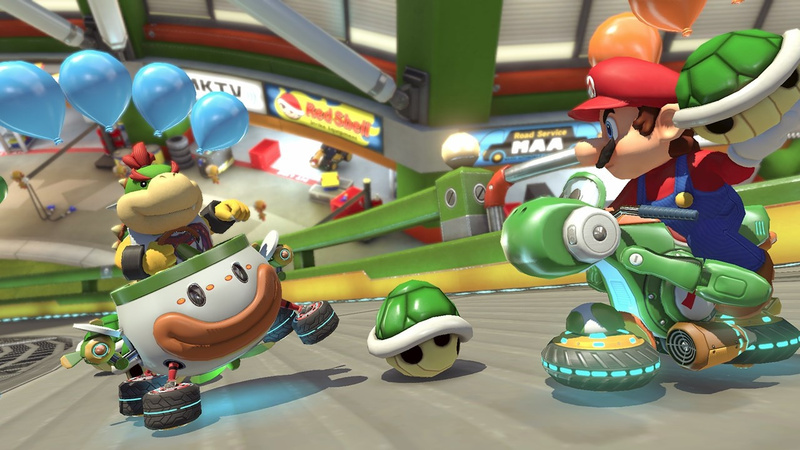 The highest-placed Switch title is once again Mario Kart 8 Deluxe, sitting in 10th place in the all-format charts, while The Legend of Zelda: Breath of the Wild (also on Wii U but currently driven by Switch sales) has dropped to 15th place. These are still reasonable positions in light of the limited userbase of the Switch and the period of time those games have been on store shelves. 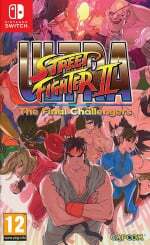 Ultra Street Fighter II: The Final Challengers has had a tough second week, however, tumbling 24 places to finish in 34th position in last week's results, suggesting it won't be in the top 40 much longer. 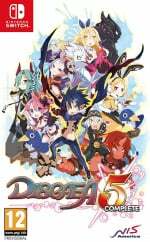 Disgaea 5 Complete struggled in its first week (though actual stock was apparently hard to find) and has now departed the top 40. Also of note there are no 3DS exclusives in the all-format top 40 at all. Fire Emblem Echoes: Shadows of Valentia had a tough second week and has now dropped out of the list. With ARMS still over a week away the next set of UK chart results are likely to be quiet from a Nintendo perspective. 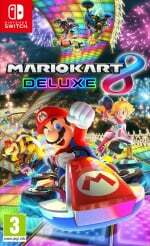 Good for MK8D and Zelda: BOTW. Good too to see Ultra Street Fighter II: The Final Challengers hopefully making a quick exit from the charts next week. Such laziness deserves no reward. Although then you could argue the same about MK8D, still it did more than what Capcom tried with this old port. SF2 has already dropped in price. Bet I can give it a couple of months and get it for super cheap. They have done so wrong by pricing it so high. Good to see these games start to fall. Get some new content in the charts. Tekken 7 takes the throne and WipEout: Omega Collection arrives tomorrow; Tekken, WipEout and Crash Bandicoot all in one month. Too much nostalgia. What a time to be alive (again)! @Peek-a-boo And none of them on Switch. I wonder if we've hit Fire Emblem over-saturation point. Not counting #FE, that's 5 games in four years. It will be interesting to see how well Arms sells and what effect it has on Switch hardware & software sales. Fighting games aren't very big in Europe (or Japan), so that question sorta applies more to North America. Nintendo (Cinderella) is stil being treated harsh by some UK gamers (Stepmother / Lady Tremaine) because UK gamers adore Sony (Anastasia) & Microsoft (Drisella) too much. Very contrary with Japanese gamers (Prince Kit). Btw, who is the Fairy Godmother for this case ? @locusts I think it is more the lack of marketing. Fates and Awakening had great marketing but Echoes was kind of limited in the ways it was marketed. Unlike say Breath of the Wild which Nintendo ramped up the marketing to the max. I tried to buy Disgaea 5 but I couldn't find it anywhere. @RoomB31 I know that, and there's also Tag Tournament 2 that came out on the Wii U and was fantastic. Tekken 7 was made on the Unreal Engine 4, so it's possible it'll appear later on. I'd have picked up a physical copy of USFII for around £20. I think by being greedy they only lost out on sales. $40 for USFII is asking the avg consumers too much for a facelift of classicly great gameplay. Got mine for $30 on amazon via prime and card discounts. I'm crazy about SFII and really love USFII. Still playing it daily. Hope it falls in price so that people who want it but can't justify the $ will pick it up. Nintendo needs to get more units in the people's hands. @locusts By 5 fire emblem games are you counting Fates as 3? I myself only see it as three. but that doesn't matter. It could be "over saturation" as you say, but I think the reason for FEE:SoV weak sales both in the UK and Japan (don't know the sales in NA) are due to a few key things. 1) It's a port of the black sheep of the series, it may be new for us, but many Japanese FE fans have probably played it and/or don't like this style. 2) There's no relationships or kids that helped make the series a mainstream hit. 3) It's colour palette is not so interesting, the game focuses on faded warm colours (reds/oranges). beiges and browns... In my opinion it's the ugliest FE game to date. Character designs are great, but the colour choices IS made is terrible. 4) As much as Nintendo will not admit it, the 3DS is slowly fading out of relevancy, couple that with a REMAKE of the least popular Fire Emblem game doesn't really help sales. 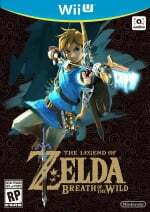 5) Many people that may have been interested in this game have purchased a Switch and because they love it so much, no longer want to buy 3DS games anymore. Many people have simply moved on from the 3DS and are sticking with their new Switch. This is my opinion, there could be any number of other reasons, but as marketing for this game has been better than Awakening and Fates (more commercials, adds, etc), it's low sales speaks volumes. @DoctorOverbuild It's still $40 on Amazon and via Nintendo, the price hasn't officially dropped. There may be a significant Switch drop next week as EA has announced the Switch port of FIFA 18 is a lazy 360/PS3 port. Im sad by how badly Mario Party Star Rush sold...its really great! Nintendo really tried to change the things that annoyed people in previous games but 99% of people ignored it. Mario Sports Superstars is very good too! Lol they gotta drop that SF2UC price. Or don't and just let it fall out the charts. It would look good on my shelf but I refuse to pay the price tag right now. @Guspaz I was talking about Amazon UK. 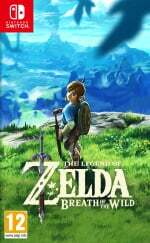 In the UK prices of games can drop pretty quickly.